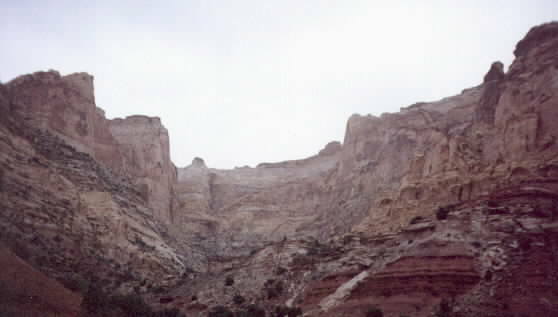 In central Utah, between Salina and Green River is a dome of sedimentary rock, the San Rafael Swell. 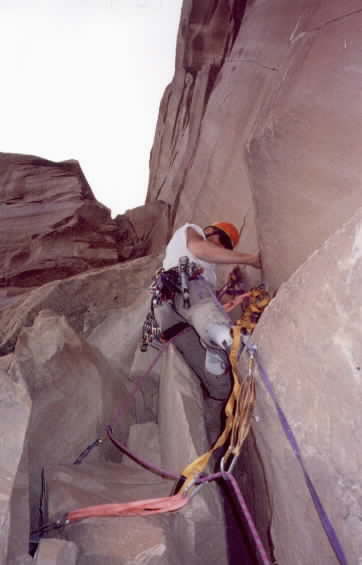 50x30 miles in area, the Swell rises 1500 feet above the surrounding desert. We drove into the SW section of the Swell and climbed a wall near some abandoned radium mines. We left the next day as it started raining. Its only a matter of time before the environmentalists have the place declared a national park and all the roads are closed and the place becomes inaccessible. Enjoy it while you can.